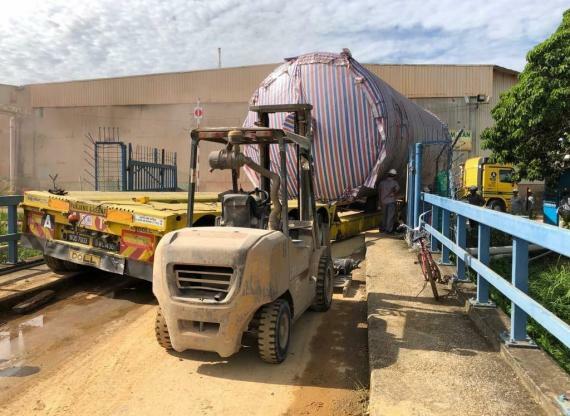 Tera Projects & Shipping have handled the transport of a 35tn tank for malt treatment in Malaysia. 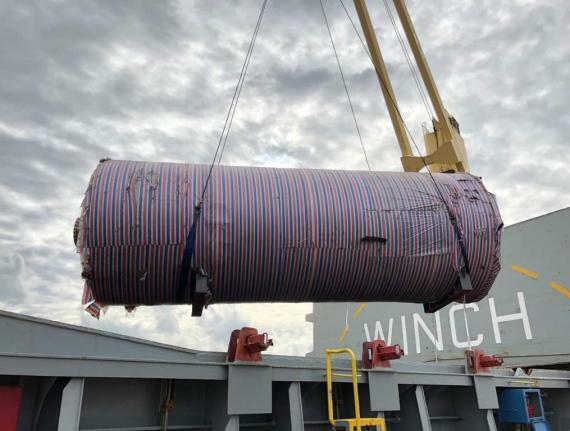 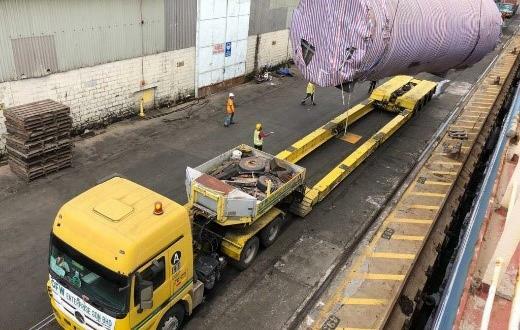 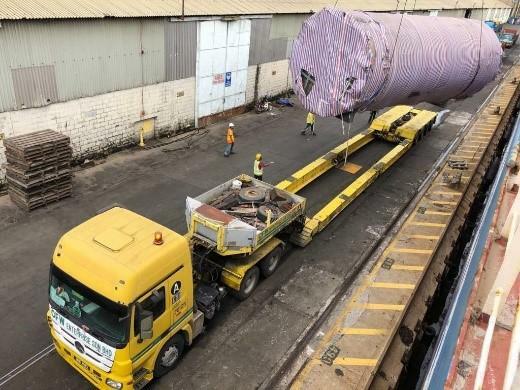 The tank (pictured below) measured 12m long with a diameter of 4.35m and arrived at Penang Port in Malaysia from Lianyungang, China. 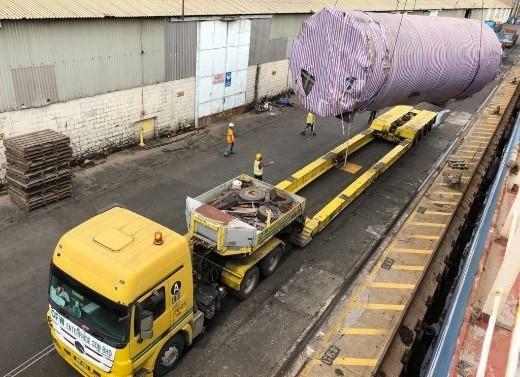 Tera's job scope was to deliver the unit to the client's door which is 50km away from the port. 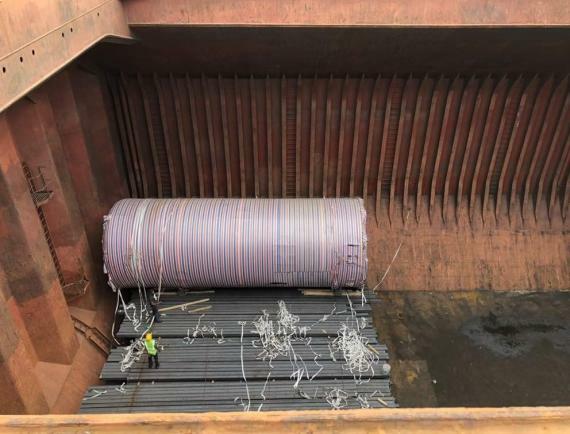 Brian Foong (Assistant Manager) comments; "As the unit height is 4.35m and the height limit of the highway toll and ridge is only 5.2m, we supplied a vessel bridge trailer for the transport as well as 2 x 50mt cranes for offloading. 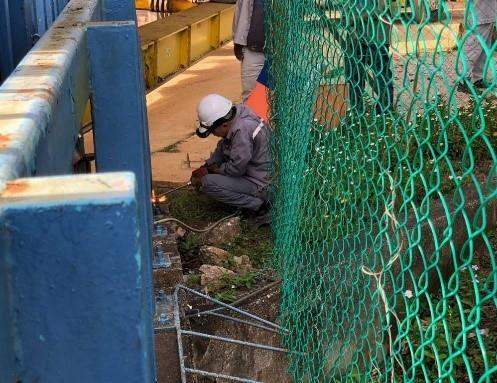 Because the final destination is in a rural area, we faced the challenge of overhead power and communication cables, but our specialist team managed to overcome and pass the obstacles. 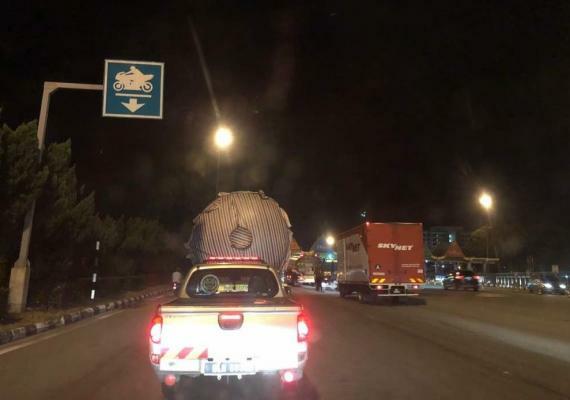 Also, once reaching the destination, we faced a very narrow turn to the location as the gate to the premises was not wide enough. 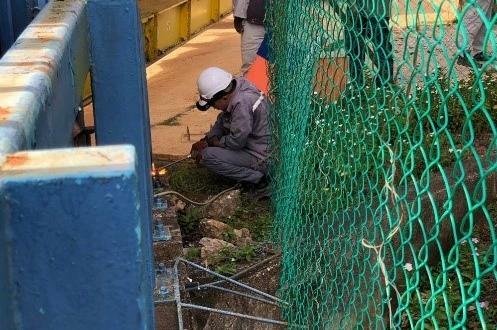 Therefore, we immediately assisted our client in dismantling the gate to make way for our truck." 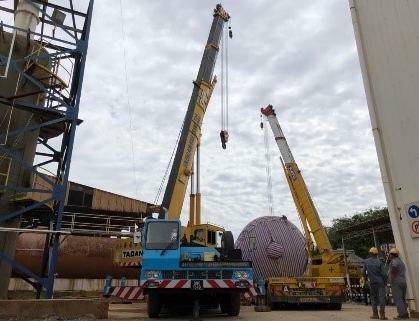 Tera Projects & Shipping are expert PCN members in Malaysia.